Francis Owusu, founder of Kulture Break. Photo: Tim Gavel. Francis Owusu has a vivid recollection of the time he told his wife that they would have to sell the family home to secure the future of his charity. His fledgeling charity, which started as a dance program to help empower young people, had grown to a point where it needed an injection of funds to keep it going. Francis, the son of Ghanaian parents, encountered racism growing up. 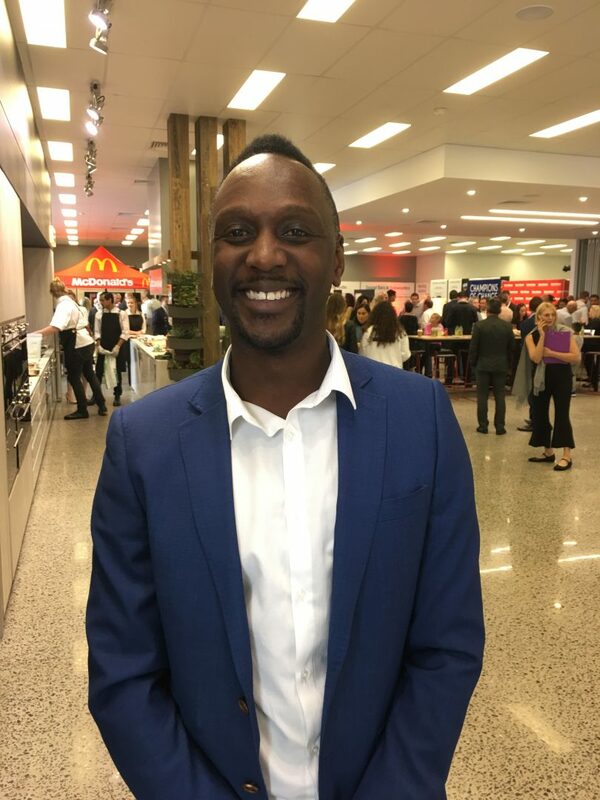 He was able to turn his life around through dance and after moving from Melbourne to Canberra, he was determined to share his experience with others by organising after-school dance classes. He founded his charity Kulture Break with eight kids in Lanyon in 2002. Six years later, the numbers had grown dramatically, but there was little money coming in. “I sold my house to support Kulture Break and at the time it was very scary. But it’s been rewarding, and the personal sacrifice has really paid off,” says Francis. So far, 150,000 teenagers in Canberra have had an involvement in the charity. The growth in Kulture Break hasn’t been confined to the numbers of teenagers utilising the program but also in the maturation of the services the charity provides. No longer is the sole focus on dance, but the program still focuses on empowering young people using performance arts. Mentoring and inclusion play a major role in transforming individuals with depression, anxiety, suicide, drug and alcohol abuse, social isolation and childhood obesity. The goal of Kulture Break is to provide young people with a safe environment in which they can not only express themselves but also encourages every individual to develop self-belief. Canberra, despite its affluence and sometimes perhaps because of it, has social problems that result in teenagers feeling marginalised. Francis tells the story which best describes how Kulture Break has transformed lives. He said he was in the Apple Store getting his broken phone fixed when the young man serving him realised who he was. The young man approached Francis and explained that had depression and suicidal thoughts while he was in high school but his life turned around from the day he became involved in Kulture Break. He said he hadn’t had a suicidal thought since. Another teenager with dyslexia believes that it was through involvement with Kulture Break that C grades at school, rapidly turned into Bs! Despite the success stories, there is still a high rate of youth suicide in Canberra. Francis says three weeks ago, Kulture Break was hit with the tragic death of a young woman. If nothing else it is a reminder that there is still so much work to be done to empower young people in Canberra. Francis says his plan is to progress Kulture Break even further with a focus on higher education and employment opportunities for young people. To get involved, check out their website.